Software as a service, or SaaS, is a business model where customers pay to use software hosted on a remote computer. Today, SaaS is often used interchangeably with “cloud computing”. Whatever you call it, software as a service has an interesting history over the past 40 years. SaaS emerged with the early computers of the 1960s. Today, thanks to the internet and global communications technologies, it has never been more popular. What do you need to know about the history of Software as a service? Find out today in our history of SaaS. Before we talk about the history of SaaS, we need to actually define what SaaS is. SaaS is a broad term that can mean different things to different people. For the purpose of this article, however, SaaS is considered to be synonymous with cloud computing. It’s used interchangeably with infrastructure as a service (IaaS), platform as a service (PaaS), desktop as a service (DaaS), mobile backend as a service (MBaaS) and managed software as a service (MSaaS). These terms are all part of the general nomenclature of cloud computing. Today, the most common type of SaaS is customer relationship management software (CRM). Other popular platforms that use an SaaS model include office and messaging software, payroll processing software, CAD software, accounting software, content management software, and antivirus software. What separates these SaaS platforms from traditional software? The main difference is that your data (as the customer of the SaaS company) is transferred over a network (like the internet) to the SaaS provider. The application does not reside on your computer – it’s hosted on another computer. You send your data to the provider, and the provider sends all app-related data over the internet to your computer. Now that we’ve defined SaaS, we can talk about where SaaS really began. In the 1960s, computers were enormously big and expensive. Few small and medium-sized businesses could afford to invest in a computer. That’s why the software as a service industry was born. In the 1960s, the model we know today as “cloud computing” or “SaaS” was simply called a “time sharing system”. This system involved multiple “dumb” terminals (keyboards and monitors without CPUs) that were networked to a mainframe or mini-computer (typically using a hub-and-spoke system). All applications and data remained on the mainframe. To use the system, you entered input through the terminal keyboard. Then, output was sent from the mainframe/mini-computer to the appropriate terminal monitor. It was an early form of connecting computers together – a system we know today as “the internet”. 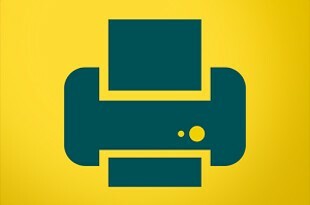 Through this system, small and medium-sized businesses, educational organizations, and government entities could access modern computer systems in a cost-effective way. These organizations wouldn’t be able to afford the costs of computer hardware, software, support, and training, so they relied on SaaS as a way to stay competitive. This type of SaaS system continued throughout the 1970s and 1980s. The costs (and physical size) of computers were declining every year, but many businesses still found it more cost-effective to rely on SaaS. During this period, things like CRM, payroll, and accounting services were all key products delivered over an SaaS system. The system relied on a dedicated phone line and modem to send data to/from clients. Meanwhile, the applications were simple, text-based interfaces. Since all of the data being transmitted was text or other small data, there was rarely a need to transfer larger files. Eventually, the shrinking cost of computers was bound to shift the SaaS world. Throughout the late 1980s and early 1990s, we saw that shift take place. Computers were cheaper than they had ever been at any point in history. Employees were now able to afford to have a computer at their desk. Companies no longer had to rely on time-sharing systems, where multiple employees shared a single computer. Nevertheless, the SaaS industry didn’t die out. Instead, it just adapted. The hub-and-spoke system we saw with early SaaS systems just changed places: now, it was found in the form of Local Area Networks (LANs). In these in-house systems, applications were hosted on local machines and critical business data was kept on a central server. Employees connected to the LAN to access these applications and data. This can be seen as an early form of cloud computing. How do you control the Local Area Network? Who manages it? Who assigns and restricts privileges to the network? Companies began to hire network managers to ensure smooth operation of the Local Area Network. These managers were responsible for backing up critical business data, maintaining desktop hardware, installing and updating new hardware across the organization, and adding new hardware as it emerged. Larger companies began to have dedicated IT departments. Small and medium-sized businesses, on the other hand, required their network managers to perform a variety of roles – like training new employees on how to use the network. Overall, LANs during this period were a major money sink. Few businesses knew how to efficiently handle the responsibilities of operating a LAN. Individual LAN managers weren’t always well-equipped for the job, and many lacked formal training. Compounding matters even further was that businesses rarely knew how much money and time to budget a LAN manager. This led to many LAN managers being overworked, underpaid, and poorly-equipped to do their job. We blame bloatware for a lot of computer problems today. However, the SaaS industry can thank bloatware for leading to a surge in the popularity of SaaS. In the early 1990s, office workers were beginning to have their own computers, which means companies didn’t need to rely on remotely-hosted applications. By the mid 1990s, software developers had learned how to take advantage of this: they bundled “bloatware” into their software. When you installed a new program or operating system, it would come with extra programs that you didn’t specifically need. Today, we take bloatware for granted. We assume that many new computers come with antivirus trials or extra applications. But in the mid 1990s, even an application like MS Paint was considered bloatware. How did bloatware connect to SaaS? Well, all of this bloatware meant that hard drive space was filling up. Hard drive space was at a premium during this time period. 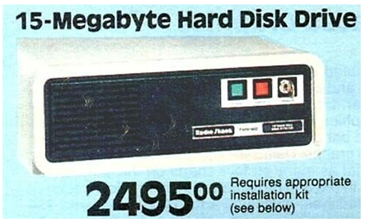 A 15MB hard drive was priced at $2495 USD. Computer users had all of these applications – but no space to put these applications. Thus, SaaS became a necessity for businesses. By storing all applications and business data on a central hub, businesses got around the high price of physical hard drive space. Around the time of the Dot Com boom of the late 1990s, the internet was becoming widely available. That meant companies no longer had to rely on LANs and in-house “hubs”; instead, companies began to realize the value of storing data off-site, and then accessing that data over the internet. Instead of calling this system SaaS, companies typically called it the Application Service Provider (ASP) industry. Understandably, companies were nervous about letting third parties store sensitive enterprise data and applications. There were perceived security risks, and many companies worried about the long-term security of new startups. Why would you transfer all of your enterprise data to a company that was going to shut down in six months? Nevertheless, SaaS vendors gained traction in the marketplace around the turn of the millennium. CRM, payroll, and accounting software all exploded with popularity around this time. The idea of a subscription licensing model – as opposed to a single-use license – continued to grow in popularity. SaaS vendors were proving that they could consistently grow revenue and customer bases year-over-year through a subscription licensing model. This trend continues to this day, as the vast majority of SaaS providers offer subscription-based models instead of single-use licenses. The major difference between SaaS and ASPs was that properly-designed SaaS applications made good on their promises, while ASPs did not. In other words, SaaS takes full advantage of modern technological features like virtualization and cloud-based scalability. Thanks to modern virtual machines, it’s easy to create a new instance for each customer. Virtualization may be a modern feature we take for granted today, but it actually dates all the way back to the 1960s mainframes. These mainframes were built to create a new server and application for every customer or customer request. The technology was so comparatively primitive at the time that ASPs would have to manually set up the server and application – the server couldn’t virtualize a new instance automatically. Another reason the ASP model failed is because it didn’t embrace scalability. Economies of scale killed ASP. In the early 2000s, many customers complained about slow speeds. SmartBear.com cites the story of Mi8, a “long-gone ASP” that provided email and groupware services based on Lotus Notes. Just before it shut down, Mi8 was infamously slow: “as slow as running a marathon on crutches”. In any case, the death of ASP showed the world where the future of software services was heading: it was heading in the direction of SaaS and the scalable world of cloud computing. You can’t talk about the history of SaaS without mentioning Salesforce. Today, Salesforce is the world’s most popular customer relationship management tool. It’s also one of the best examples of a successful, fast-growing SaaS company. Salesforce was the first SaaS built from scratch to achieve record growth. The company was founded in March 1999 by three entrepreneurs. Unlike other SaaS companies at the time, the company was founded specifically to provide SaaS services – it didn’t transition to SaaS after experimenting with CD-ROM distribution, for example. Salesforce focused on multiple products and services, including CRM, the sales cloud, the service cloud, its Force.com platform, Chatter, app exchange, configuration, and web services. Over the early 2000s to the present day, Salesforce would take advantage of emerging technologies to drive SaaS sales growth. The 2000s saw a surge in broadband, mobile, internet security, browsers, APIs, and a wide range of other technologies that transformed it into the industry leader we know today. Today, Salesforce is one of the most valuable cloud computing companies in the world. It has a market capitalization of over $55 billion. Interestingly, the company has never actually turned a GAAP profit in any fiscal year since being conceived in 1999. Some people call Concur the world’s first SaaS company. Unlike Salesforce, Concur wasn’t founded as an SaaS company. Instead, the company was founded as a packaged software service. Concur sold floppy disks and CD-ROMs of travel and expense software. You could find their products in computer hardware stores. In 1998, the company went public with this sales model. But after the crash of 2001, the startup’s market cap totaled only $8 million. In response, the company evolved into a pure SaaS business. Instead of restricting their sales to computer hardware stores, the company sold its services over the internet, expanding its market to anyone with a browser. 13 years later, in 2014, the company was generating more than $600 million in annual revenue. SAP bought them for $8.3 billion later that year, making it the largest SaaS acquisition to date. Concur also marks an important note in the history of SaaS because it was one of the very few SaaS companies that achieved both positive revenue and cash flow break-even. Tomasz Tunguz does a good writeup on the history of Concur here, including why they played a crucial role in the history of SaaS. Where is Cloud Computing and SaaS Going in the Future? SaaS has been around since the 1960s. In various forms, it has survived over the decades. Today, it’s bigger than it has ever been before. Today, we’re seeing growth in SaaS in all of the above categories. However, we’ve also seen growth in certain modern industries – like media and entertainment, social/collaboration, mobile/location, and big data/analytics service providers. These are the areas of SaaS expected to see the majority of growth over the coming years. Whether you call it cloud computing or SaaS, the industry shows no signs of slowing down – a lesson that’s been true throughout most of the history of SaaS.